Chattogram City Corporation (CCC) has taken an initiative to dig a new canal to ease the long-drawn water logging crisis in the port city. Sources in the CCC engineering department said the initiative to dig the new canal was taken as per the ‘Drainage Master Plan-1995’ to remove the water logging. CCC prepared a Development Project Proforma (DPP) titled ‘Digging canal from Baroi Para in Bahoddarhat to the river Karnaphuli,’ a few years back. They sent the DPP to the concerned ministry for approval. But, it remained stuck for long. The Executive Committee of the National Economic Council (ECNEC) in a meeting headed by the Prime Minister Sheikh Hasina approved the project involving Tk 1256.16 crore on November 7 last year. Of the total amount, the government will provide Tk 942.12 crore while the CCC Tk 314.04 crore for digging the 2.9-kilometre long and 117-feet wide canal, said the sources. Highest amount of Tk 1103.84 crore will be spent for acquisition of some 25 acres of land for carrying out development works under the project. Besides, around Tk 16 crore will also be spent as compensation for demolishing 52 semi-pucca and 35 concrete structures during the project works. The other major works under the project include development of six reinforced cement concrete (RCC) bridges, one sluice gate, 5,500 metre retaining wall, 2,900 metre drain and 5,400 metre footpath. In the DPP, it was mentioned that a huge number of goods-carrying vehicles from different parts of the country enter the Chattogram Port and leave with goods everyday. But, vehicles especially goods-laden ones get stuck due to waterlogging as the city has been experiencing lack of sewerage system for long. Though the development work of the canal is scheduled to be completed by June in 2020, the physical works are yet to be started, the sources said. 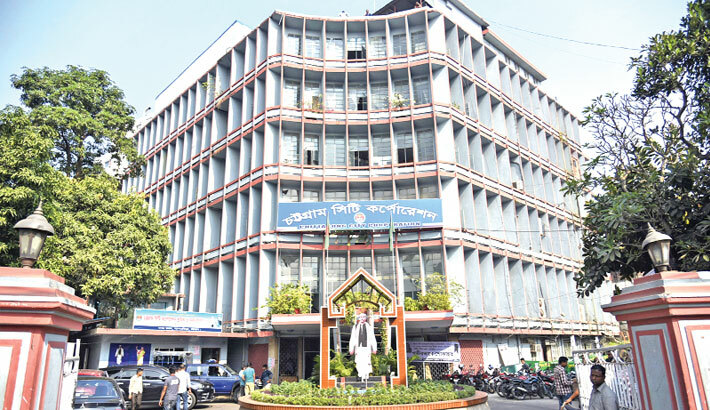 Meanwhile, CCC Mayor AJM Nasir Uddin held a meeting with the concerned councilors and officials for discussing possible affects during the project works at KB Abdus Sattar auditorium of the CCC on Thursday last. Mayor Nasir, also general secretary of the Chattogram city unit Awami League (AL), assured the land owners that three times compensations compared to the current price of their lands will be paid following proper procedures. He also assured them that none will fall victim to harassment in this connection. Contacted, CCC Executive Engineer (Civil) Jashim Uddin told the daily sun that they are yet to start land acquisition for the project as the concerned ministry didn’t release money till the end of the last month. He, however, said they procured some equipments for the project from their own fund. Engineer Jashim hoped that waterlogging problem of the city’s Bahoddarhat, Chandgaon, Bakolia, Khaja Road and Chaktai areas will be addressed permanently after digging the canal. He said they will develop walkway for pedestrians on the banks of the canal along with carrying out other beautification works. Besides, communication system of the areas will also get a new dimension after development of the canal with walkway, he added. Mentionable, the ECNEC approved a project titled ‘Canal re-excavation, expansion, renovation and development for addressing the waterlogging in the Chittagong city’ on August 9 in 2017. Chattogram Development Authority (CDA) initiated the project. Later, a technical committee and a monitoring committee headed by LGRD and Housing ministers were formed for proper implementation of the mega project involving Tk 5,616 crore. CDA and Bangladesh Army signed a memorandum of understanding for carrying out development works under the mega project on April 9 last year. The CDA in cooperation with the Army started the works formally on April 28 of the same year. According to the CDA, some 528,214 cubic-metre soil and 420,000 cubic-metre mud will be dredged from 36 canals under the project. Three water-bodies will be dug, 10.77 kilometre side drains, 176,000 metre retaining wall, 85 km road and 48 PC girder bridges will be constructed to address waterlogging, said the sources. Besides, Bangladesh Water Development Board (BWDB) took another project titled ‘Addressing waterlogging crisis of the port city through developing pump house and drainage system’ last year. The development works under the project involving around Tk 1,600 crore was scheduled to be started from January this year.